Fete de la Musique 24th June 2018! 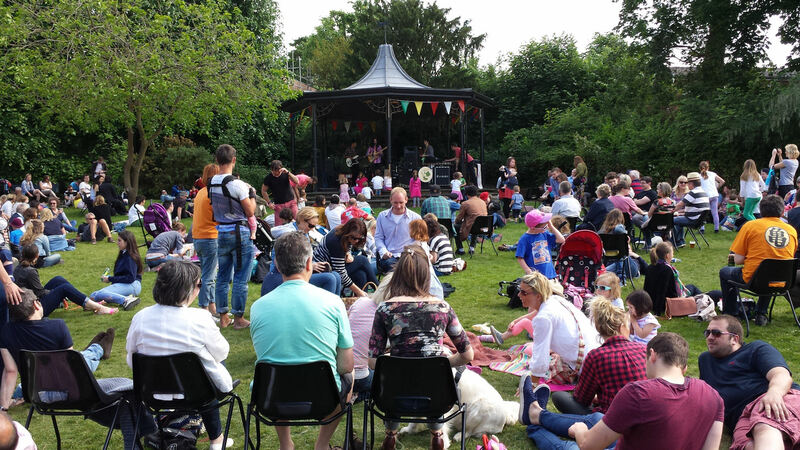 On Sunday 24 June from 12 pm to 8.30 pm Saffron Walden will be celebrating live music with over 80 bands covering a wide range of music genres from rock, pop, and jazz to world, big band, and Latin American. 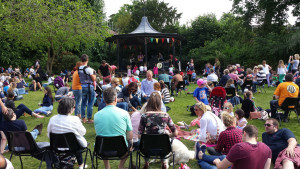 The music will be performed in 11 venues round the town centre including the beautiful Jubilee Gardens, the Castle Grounds, Fairycroft House and several pubs and cafes. This festival originated in France in 1982 and since then it has spread across the world holding to the same simple set of principles: that the day is held on the mid-summer solstice and that all concerts and events are free and accessible to the public. (International Music Day is normally on midsummer’s day but for logistical and other reasons we are keeping to nearest Sunday). It has inspired both amateur and professional musicians of all ages and genres to take up their instruments (or lubricate their vocal chords).